Face to Face have been hammering out punk albums for 25 years now. 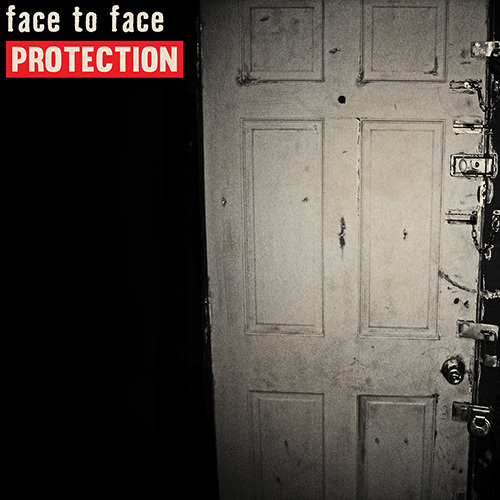 Most bands struggle to put out 3-4 albums of relevant material, and despite a nearly decade long break (2002-2011), Face to Face‘s tenth album, Protection, is just as full of vitality as their earlier work. Protection is still very much a punk album. If you’ve ever heard the band before (or similar acts Bad Religion, Pennywise, or Social Distortion), you pretty much know what you’re in store for. Tracks like “Say What You Want” (which features an insanely catchy vocal hook), “See If I Care” (which is carried by the rhythm section of bassist Scott Shiflett, brother of the Foo Fighters Chris Shiflett, and drummer Danny Thompson), and “Keep Your Chin Up” are hard-charging singalongs perfect for fist pumps and circle pits. 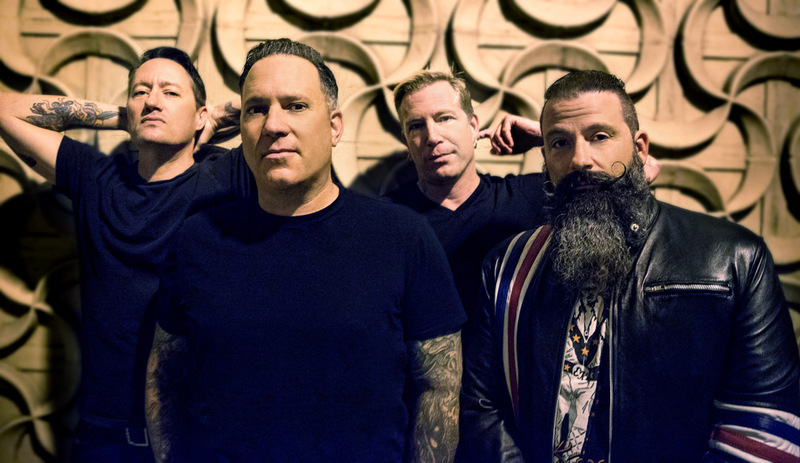 While not as strong, “I Won’t Say I’m Sorry,” “It Almost All Went Wrong,” “And So It Goes,” and the title track all offer similarly anthemic takes on the classic punk formula. The real gems of the album, however, are album opener “Bent but Not Broken,” “14:59,” and “Double Crossed.” “Bent but Not Broken” has the best bass hook I’ve heard on a punk song since Billy Talent’s “Devil in a Midnight Mass,” and is easily the lyrical giant of the album. “Double Crossed” is a bit brighter but is equally catchy, and the verses on “14:59” boil with anger. Vocalist Trever Keith gives his best performance here, letting some rage out in his voice before switching to an almost pretty singalong chorus. All in all, Protection does nothing to reinvent the punk wheel, but it certainly keeps it spinning with a vigor most bands half their age struggle to match.